Hello everyone! 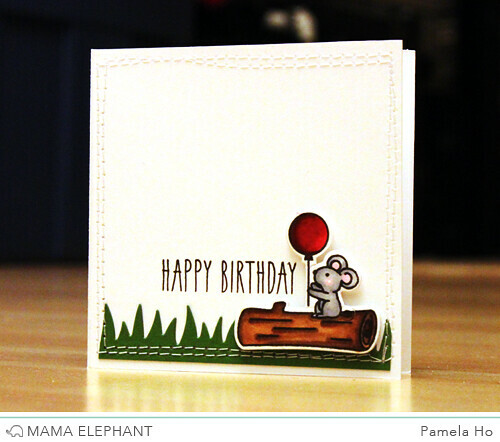 This is Pamela back with Mama Elephant using the stamp set Woodland Gifts and its coordinating dies. There are lots of cute little items that you can decorate your critters with and create a cute little scene. I also combined it with Grassy Trio dies for a fun scene! 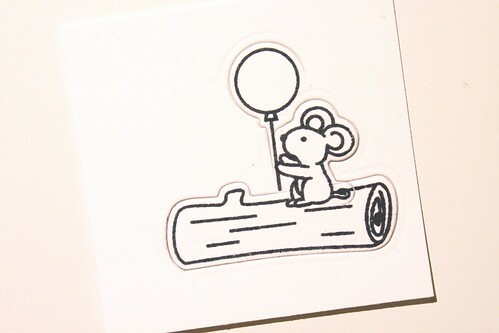 I first stamped the little mouse holding onto the balloon. I stamped this using a little bit of masking so the mouse could stand on top of the log. I wanted to cut it using my dies to give it an even white edge (and also because I don't want to do fussy cutting!) I first positioned the log die and had it cut only the bottom part. 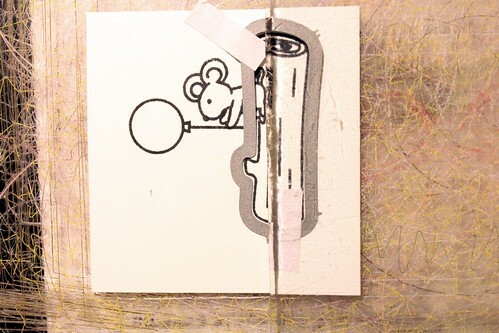 Then I positioned the mouse die and cut it partially. 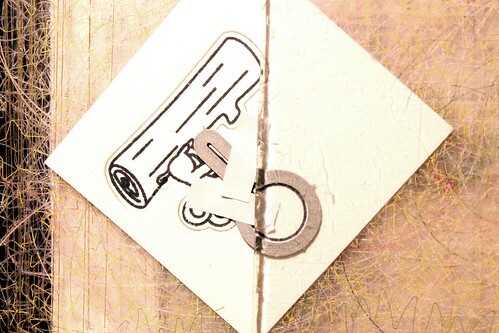 Finally, I positioned the balloon die so that it cuts the remaining part. I die cut a little piece of grass from green cardstock and stitched it directly onto the cardstock. I outlined the card front twice with the stitching and adhered the die cut onto the grass. [Hope you like the process photos and thanks for coming! What a darling card! 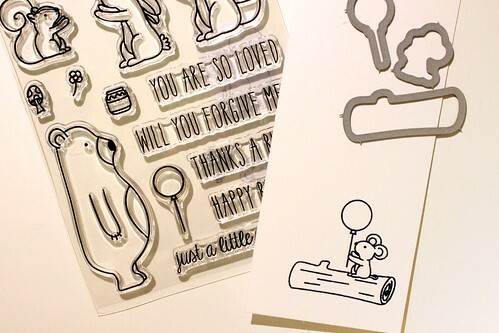 Thank you so much for showing how to do the die cutting. Very clever and something I will try. The stitching adds another texture that I really like. Very cute card! Thank you for sharing! I love the look partial die cutting gives. Takes practice though.